Dr. Merrell grew up in Brentwood, TN. 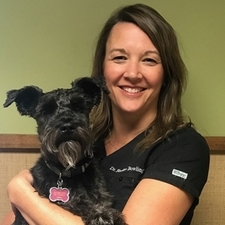 She received her BS in Zoology from the University of Tennessee in 1995 and graduated with honors from the University of Tennessee College of Veterinary Medicine in 2000. 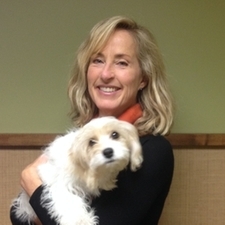 Dr. Merrell practiced at Petmed in Antioch, TN for 8 years before opening McKay's Mill Animal Hospital in 2008. Outside of work she enjoys spending time with her husband Eric and her daughter Evie. 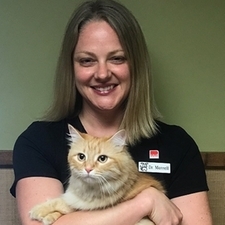 She is pictured here with her cat Cheddar. Dr. Bowling has lived in Franklin, TN for the past 17 years. 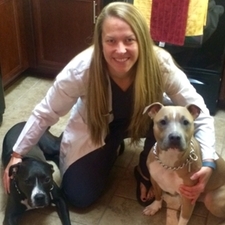 She received her BS in Microbiology from Auburn University in 1996 and graduated from Auburn University College of Veterinary Medicine in 2000. Dr. Bowling and her husband Andrew have three girls Kate, Abby, and Rachel. She enjoys spending time with family and friends, reading, being outdoors, and cheering on the Auburn Tigers! She is pictured here with her dog Millie. Dr. Moore grew up in Franklin, TN. She received her Bachelors Degree in Animal Science from the University of Tennessee in 2009. She graduated from UT Vet School in 2013. She shares a home with her husband Robbie, their two curious kitties Charlie and Hemi, and their new puppy, Elle. 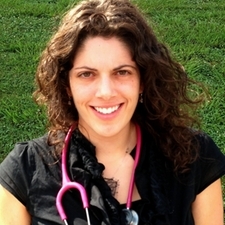 In her spare time Dr. Moore enjoys reading, cooking, baking, exercising, soccer, and horseback riding. Zach grew up in Western Kentucky and moved to the area 8 years ago. 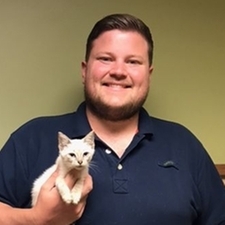 He started his veterinary career as a Veterinary Technician in 2010 and is now working with our team as the Practice Manager. In his downtime Zach likes to explore the Nashville Zoo, hike and attend concerts. 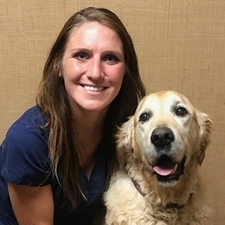 Andree and her husband Dr. Mark Girone have been mentors to Dr. Merrell since she graduated from vet school and began working for them 13 years ago. They have two wonderful daughters Kate and Kelsey who have both worked at McKay's Mill Animal Hospital. Outside of work, Andree enjoys spending time with her family and cheering for the Tennessee Vols! She is pictured here with our sweet patient Margot. Danielle grew up in Dayton, MN and recently moved to Brentwood. She grew up around horses and has worked with animals since the age of 12. She has one older brother and loves country music concerts. Danielle has Cystic Fibrosis and enjoys educating others about her condition. 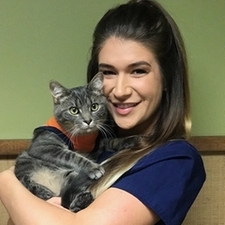 She recently graduated college with a degree in Veterinary Technology, and plans to take her licensing exam soon. 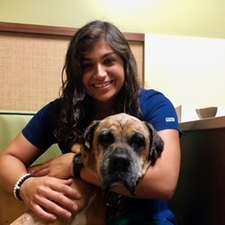 Danielle is pictured here with our sweet patient, Koda. 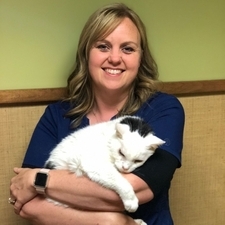 We are so glad Danielle chose McKay's Mill Animal Hospital! Alyssa comes from Jackson, TN. She moved to Nashville in 2016 after obtaining her Bachelors in Animal Science degree from University of Tennessee Martin. She has alwas enjoyed working with animals for as long as she can remember. When she is not working, Alyssa enjoys going on medical mission trips. We are so lucky to have Alyssa! Melissa grew up in Michigan and moved to Tennessee about 9 years ago. 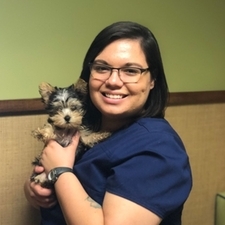 She graduated from Michigan State University in 2013 with an Associates Degree in Veterinary Technology. On her days off she enjoys kayaking, painting, playing with her Great Dane, Paisly and her two cats, Miggy and Bambi and spending time with her family. We are so glad to have Melissa as a part of our team! Christina was born in South Carolina and raised in Nashville. 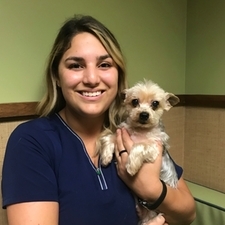 Christina graduated from Columbia State Community College with an Associates in Veterinary Technology in May of 2018. Christina loves working with small exotic mammals and has rats and guinea pigs of her own. We are so happy that Christina is here! Eric's background is in economics. 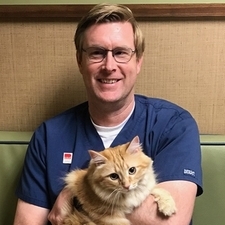 Since opening McKay's Mill Animal Hospital he has taken on a variety of roles. He does a little bit of everything around here! Often you will see him at the front desk these days. He is pictured here with the Merrell's cat Cheddar. Suraya comes from Jackson, TN. She moved to Franklin after completing her Bachelors of Science degree from Colorado State University. In her down time, she enjoys hiking with her dog, Mickey, watching football and traveling to the beach with her youger sister. Add a person's name or a headline here. Give some background on this staff member, such as how long they've been in this field and what they love about their job. Also provide some personal info about hobbies, pets, family, and more. Tell folks the university attended and degree earned. Add some specialties or areas of interest.